starts with a thorough Termite Inspection. We offer one of the most thorough and professional Termite Inspections on the market and to show we mean it, we are offering a 12 month Termite Inspection Warranty. If you find termites in your home within 12 months of having a termite inspection we will treat them for free. This gives our customers peace of mind knowing that their house is in good hands. With years of experience, modern thermal equipment and our 12 month warranty, you would be hard pressed finding a better offer! 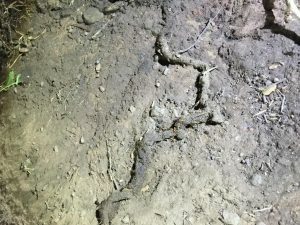 Although highly intelligent pests, there are certain characteristics to Australian Termites that gives us a good idea on how and where they are going to attack your property. The Termite (also known as White Ants) loves two things, timbers and moisture and unfortunately most houses have ample of both. The most common areas which receive the most Termite Damage are the bathroom, the laundry and kitchen. Why? Because they are wet areas and most likely have moisture issues. Poor ventilation to subfloors, inadequate or damaged drainage around the property or air conditioners and hot water services overflow leaking to the ground create conducive environments, perfect for termites and other timber pests. With Termites eating timber from the inside out, by the time you discover Termites the Termite Damage could be substantial. Examples of Conducive Termite Environments. Trees/Gardens against the house. Hot water system overflow leaking onto the ground. Understanding Termites is just the start of why Certified Home Inspections can offer such thorough Termite Inspections. Each Termite Inspector carries an array of State-Of-The-Art equipment which includes a Thermal Imaging Camera. The Thermal Camera is not an X-ray Vision device but when used in conjunction with other tools it gives us a better insight into what is happening in those walls. A well established Termite nest will radiate heat but what we are mostly looking for here is again, moisture. Termites themselves are made up of 90% liquid and there would be 100’s if not 1000’s of them in or around the nest. This surprisingly doesn’t make the nest anymore easier to find as they are normally hidden in confined areas protected from predators. The bad news is that if we find a nest, depending on the specie, it may only be a sub-nest. 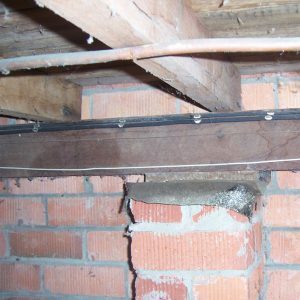 Do I get a Termite Inspection on a property I am buying? The short answer is no. The reason for this is a Termite Inspection is too limited. We recommend a full Pre Purchase Building and Timber Pest Inspection or at the very least a Pre purchase Timber Pest Inspection. The Pre Purchase Inspection is more comprehensive as it covers Termites as well as Wood Borers and Timber Decay Fungus (ie Wood Rot). It also looks into conducive environments which is extremely important to home owners. A Termite Inspection wont go into that much detail. Where do we look in a Termite Inspection? All our Termite Inspectors are agile enough to enter roof spaces and under floor areas (Subfloor). These areas are crucial inspection zones as they make the perfection environment for Termite Nests. An inspection from the man hole is no substitute for a thorough roof inspection. The Sub floor is one of the most important areas of a Termite Inspection. Yes, is the answer. We need to check the extent of the Termite Activity and how the Termites have entered your house. We want to find out if there is a Termite Nest or a Termite Sub Nest in your house or around your yard. This is where industry experience and modern equipment gets results. The Termite Inspection (also known as a White Ant Inspection) will bring up conducive conditions around your property. When fixed it will lower the chance of termites in the future. This lowers your Termite Risk Factor. More information about this service or conducive environments can be found on our Termite Barrier Page. In fact A Termite Treatment is fairly inexpensive and would normally range from $200 to $600. Remember if you do find Termites at your place do not disturb them. Great contact with a premium chemical (Termidor) will ensure an effective treatment. Also To stay on top of Foraging Termites we strongly recommend an annual Termite Inspection. 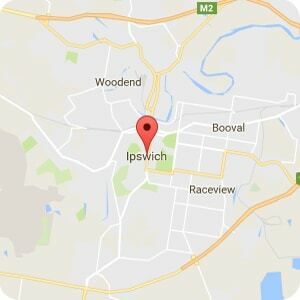 So Call our friendly staff on 1800 UNCOVER (1800862683) who will be happy to arrange a quick quote and a convenient Inspection time. 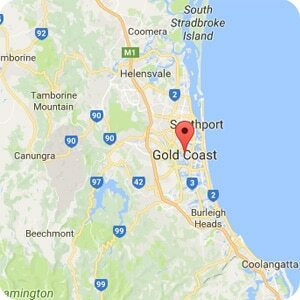 The Service Areas we cover for Termite Inspections is Brisbane, Ipswich, The Gold Coast and their surrounding areas. Good Afternoon Mohammed, I have send you an email with the quote price and what is included in the Termite Inspection.